1. Thoroughly spray the muffin tin with Pam and set aside. 3. In a large saute pan, cook the bacon over medium-high heat, until slightly browned and crispy. Transfer to paper towels to drain and cool. After cooled, chop the bacon. 4. The bacon will release a a lot of grease. Drain all but about a half cup. We’ll use this to cook the vegetables. 5. Bring heat down to medium, and add the diced shallot, sliced celery, sliced leek, salt and pepper, and cook until all is softened and translucent, about 7 minutes. Add the sage and thyme and cook just until fragrant. 6. 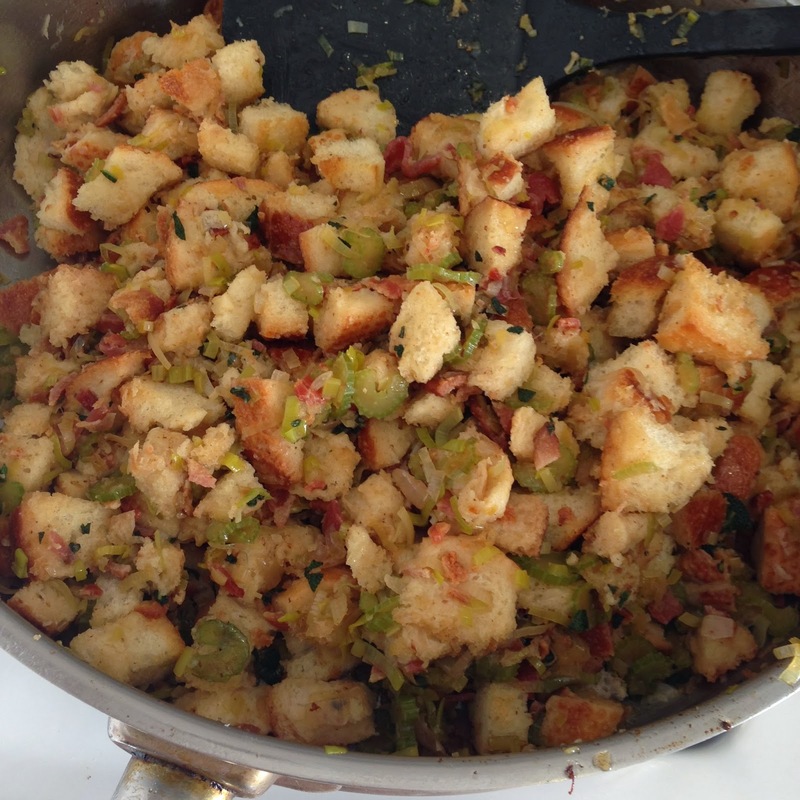 Turn off the heat and add bacon, toasted bread and vegetable broth to the vegetable mixture and toss. Do a taste test. Does it need a bit more salt? If you’re all good then add the slightly beaten eggs and mix once more. 7. 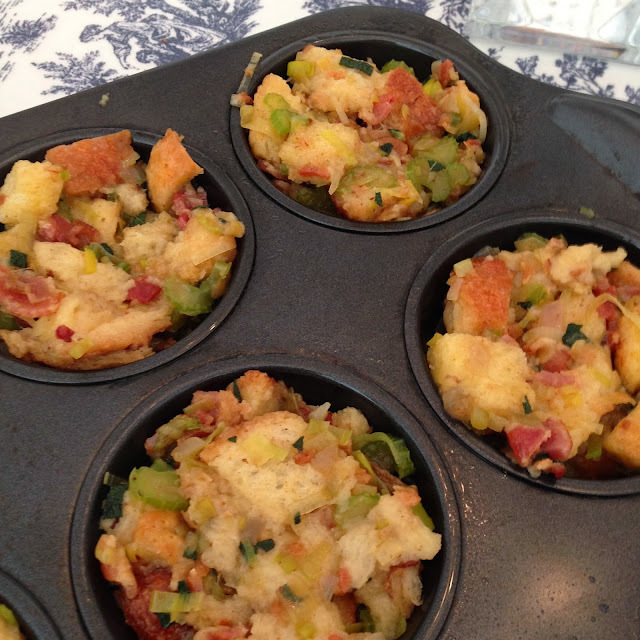 Using a tablespoon, transfer mounds of the stuffing mixture to each muffin tin. 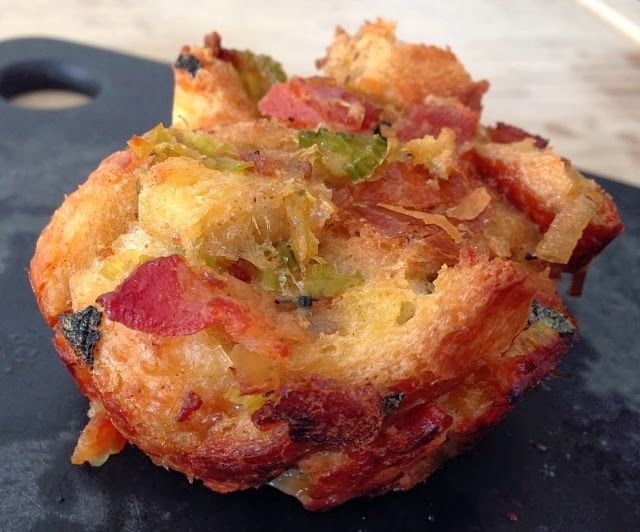 Be sure to tightly pack the stuffing in each of the muffin cups. This will make sure the mixture adheres to itself and the muffins don’t fall apart. 8. Bake for 20-25 minutes, until top is browned. 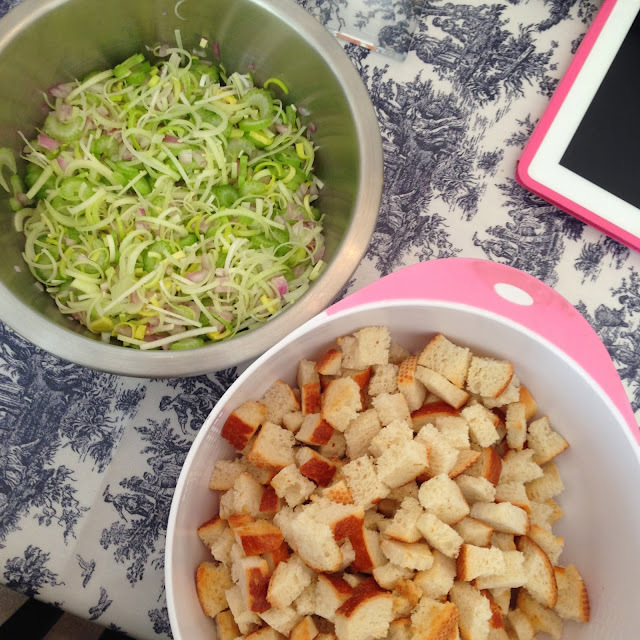 To remove, take a butter knife and go around each of the stuffing muffins’ outer edge. Using your knife, gently lift it up out of the muffin tins. Serve warm. UM YUM–these look amazing, and pretty much combine all of my favorite things!